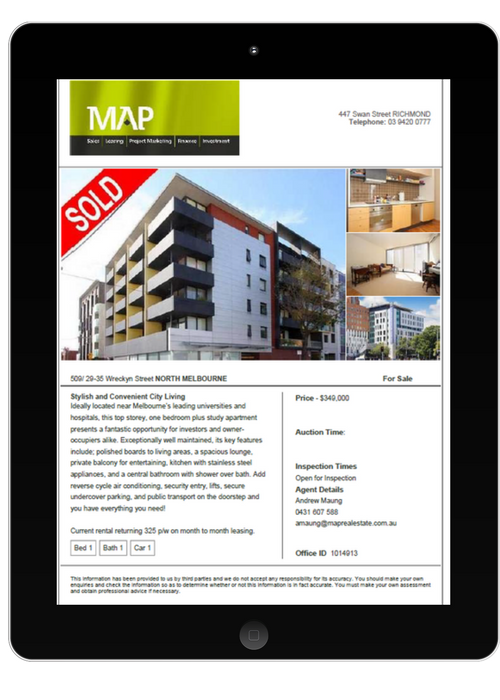 MAP REAL ESTATE is a Richmond based Real Estate Agency in Melbourne, Victoria. The creation of dozens of real estate listings for prominent Real Estate Agency, MAP REAL ESTATE. These involved property inspections and working directly with the agent and photographer to achieve the best possible real estate for sale content. The content created was used on For Sale Boards, Websites, Window Displays, Flyers and Printed in the Local Press.